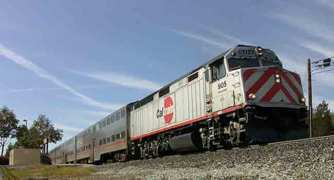 A person has been struck and killed by a Caltrain commuter train in Sunnyvale late Tuesday, Caltrain officials said. The person was hit by a southbound train at about 8:14 p.m. just north of Mary Avenue. There were no injuries to the roughly 260 passengers on board the train at the time. The Santa Clara County medical examiner's staff was still en route to the area as of about 9 p.m., according to Caltrain. There are delays for trains in the area.